Click here for more messages from the Five Candles at Christmas series. Click here for more Christmas messages. INTRODUCTION: Today is the first Sunday of Advent. The Advent season comprises the four weeks before Christmas. It is an old tradition dating at least as far back as the 400’s when the early church observed a period of preparation leading up to Christmas. Advent is a time when we prepare our hearts and our minds for the coming of God’s Son, our Savior, Jesus Christ. The word “Advent” means “to come,” and the Advent season focuses on remembering Christ’s first coming at Christmas and then also anticipating Christ’s second coming and soon return. This Advent season we will be sharing a series of messages exploring the various themes represented by the five candles on the Advent Wreath. Although candles have been used in churches for a long time, the Advent Wreath is a fairly recent tradition in church history. 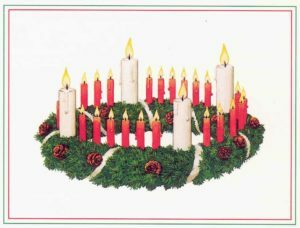 The first Advent Wreath was invented by a German pastor back in 1839. He made it out of an old wheel cart he had lying around. It actually had twenty-eight candles – twenty-four small red candles around the rim interspersed with four larger white candles. The pastor devised the wreath to satisfy the children at the mission school who would ask every day, “Is it Christmas yet?” And so they would light a new candle each day to help them count the days until Christmas. The larger candles were lit on Sundays and the smaller candles on the days in between. As the tradition spread the smaller candles were discarded in favor of a wreath with just the four larger candles and a fifth candle in the center (although many families continue to use some form of Advent Calendar to help their children count off the days until Christmas). The four outside candles are lit on each successive Sunday of Advent while the center candle is lit on Christmas Eve or Christmas Day. There are various interpretations of the candles but the most common scheme is where the first candle represents hope, the second candle peace, the third candle joy and the fourth candle love. The fifth and center candle, of course, represents Christ. So even though the Advent Wreath is a fairly new tradition in church history, these themes of hope, peace, joy and love stretch all the way back to the first Christmas and beyond. They are deeply rooted in Scripture, and so it is very appropriate that we take some time this Advent season to reflect on these various themes in light of Scripture and the Christmas story. The first Advent candle represents hope. Hope is an important theme relating to Christmas, and especially relating to the Advent season leading up to Christmas. Our world is in desperate need of hope. Many people today live without hope or have given up hope. But Christ came at Christmas to bring you hope, and that is what we want to see in the Scriptures this morning. We are going to look at three aspects of hope this morning relating to Christ and Christmas. 1) Hope in Christ gets you through the waiting. 2) Hope in Christ helps you go the distance. And 3) Hope in Christ does not disappoint. First of all, hope in Christ gets you through the waiting. The Advent season is all about waiting. It’s a time when we remember the long period of waiting that preceded the first coming of Christ, and also a time when we reflect on our own season of waiting for the second coming of Christ. That first period of waiting stretched all the way from Genesis to Matthew, from Adam and Eve to Joseph and Mary, from the Garden of Eden to the manger of Bethlehem. The first signal of hope during that long period of waiting came shortly after Adam and Eve disobeyed God in the Garden of Eden. God told Adam: “You are free to eat from any tree in the garden; but you must not eat from the tree of the knowledge of good and evil, for when you eat of it you will surely die.” (Genesis 2:16-17) Adam and Eve both disobeyed this command from God, bringing death not only upon themselves but upon the entire human race to come. The serpent and his offspring represent Satan and all who follow in Satan’s path. The woman and her offspring represent Eve and all those who love and follow God. And indeed there has been enmity between Satan and those who follow God ever since the garden. And yet even in this word of judgment there was a beacon of hope for the people of God. Because even though the woman’s offspring at first seems to represent many descendants of Eve, verse 15 focuses on one specific individual descended from Eve who will triumph over Satan and the evil he has brought on mankind. Satan will strike his heel, but this special individual will crush Satan’s head, bringing an end to Satan’s rule of misery over humanity. God fulfilled this promise by bringing the nation of Israel out of Abraham, and through the nation of Israel, God continued to give promises about this special individual who would bring blessing to all the peoples of the earth. Through the long years of waiting the prophecies became more and more specific focusing on the Messiah who would come as prophet, priest and king to rescue his people. Around the year 700 B.C. we come to the prophet Isaiah who told the King of Judah in Isaiah 7:14: “Therefore the Lord himself will give you a sign: The virgin will be with child and will give birth to a son, and will call him Immanuel.” (Isaiah 7:14) This was the clearest prophecy yet that the promised offspring would come and deliver his people. There were still many centuries of waiting to come, but these prophecies and others like them continued to give the people hope. These were long and difficult days for the people of Israel, and yet their hope in the Messiah, the Christ to come, helped them through the waiting. And it’s the same for us today. We all go through periods of waiting in our lives, and we need hope to get us through the waiting. Waiting is never easy, and whatever you are waiting on today, I want you to know there is hope in Christ. Whether you are waiting on God’s direction or a job offer or an answer to prayer or a response from someone you love – whatever you are waiting for this morning, there is hope in Christ, and the candle of hope reminds us that hope in Christ will get you through the waiting. Hope in Christ gets you through the waiting, and hope in Christ helps you go the distance. An important part of the Christmas story has to do with the Magi who traveled to see Jesus some time after he was born. The Magi were pagan magicians or astrologers who studied the stars and interpreted dreams. We find early instances of Magi in the book of Exodus with Moses in Egypt and then again in the book of Daniel. We are not told how many Magi visited Jesus, but later traditions speak of either twelve or three. The Magi are important for a number of reasons. They were a fulfillment of Old Testament prophecy which spoke about nations and kings coming to Zion to worship the Lord. (Isaiah 60:3) Their coming to Christ was a foreshadowing of the gospel going out to the Gentiles and far away nations. (Matthew 28:19) And the gifts they brought for Christ were gifts fit for a king, befitting the birth of Jesus who is the King of kings and Lord of lords. But what I want us to focus on this morning is the distance they came to see Christ. Matthew tells us that they came from the east, so they were most likely from Babylon or Persia. Either way they had to travel a great distance, perhaps as many as one thousand miles, over difficult and dangerous terrain in order to come and see Christ. What would prompt them to make such a journey? Now you might wonder how they would connect this star with the birth of the Messiah. As Magi they would have been very interested in stars and prophecies, and of course they would have access to the Old Testament Scriptures because of the Jews who had been exiled there centuries before. Perhaps they focused on the prophecy of Numbers 24:17 which said: “A star will come out of Jacob; a scepter will rise out of Israel.” (Numbers 24:17) This prophecy connected a star with a scepter or king of Israel. But however they knew, the star signaled to them that the Messiah – the Christ – had been born, and it was this hope in Christ that helped them go the distance to worship the newborn king in Israel. It is hope in Christ that helps us go the distance in life, too. We all go through trials in life, and it’s easy to get discouraged. That’s when it’s so important to remember that God is with you, that God will help you, that God has a purpose for you in your trials, and most important of all, that eternal glory awaits you in heaven. As Paul wrote in 2 Corinthians 4: “Therefore we do not lose heart…. For our light and momentary troubles are achieving for us an eternal glory that far outweighs them all. So we fix our eyes not on what is seen, but on what is unseen. For what is seen is temporary, but what is unseen is eternal.” (2 Corinthians 4:16-18) How did Paul keep going when the going got tough? He had hope for the future, and hope in Christ helps you go the distance. The Christmas story is full of shining examples of people who put their hope in Christ and were not disappointed. We have already looked at the Magi who traveled such a great distance to see Christ. Imagine if they went all that distance and Jesus wasn’t even there. That would have been disappointing! But their hope was not disappointed. They found Christ in Bethlehem, just as it had been prophesied. How about Mary? Mary was told by the angel that she would give birth to the Savior. Every pregnancy is a time of waiting and expectation and hope, and in this respect Mary’s pregnancy was no different. And so we read in Luke 2: “[Joseph went to Bethlehem] to register with Mary, who was pledged to be married to him and was expecting a child. While they were there, the time came for the baby to be born, and she gave birth to her firstborn, a son. She wrapped him in cloths and placed him in a manger, because there was no room for them in the inn.” (Luke 2:5-7) All of Mary’s hopes for that baby – when the baby was born and she held that newborn infant in her arms and wrapped him in the cloths and laid him in the manger – Mary’s hope in Christ was not disappointed. And then there is Simeon, a man from Jerusalem who was waiting for the Messiah to come. We read in Luke 2: “Now there was a man in Jerusalem called Simeon, who was righteous and devout. He was waiting for the consolation of Israel, and the Holy Spirit was upon him. It had been revealed to him by the Holy Spirit that he would not die before he had seen the Lord’s Christ. Moved by the Spirit, he went into the temple courts. When the parents brought in the child Jesus to do for him what the custom of the Law required, Simeon took him in his arms and praised God, saying: ‘Sovereign Lord, as you have promised, you now dismiss your servant in peace. For my eyes have seen your salvation, which you have prepared in the sight of all people, a light for revelation to the Gentiles and for glory to your people Israel.” (Luke 2:25-32) God told Simeon he would see the Messiah before he died. And at the precise moment that Joseph and Mary were bringing Jesus into the temple, the Spirit moved Simeon to go into the temple, too. Simeon put his hope in Christ, and he was not disappointed. And then there is the prophetess Anna. We read about her in Luke 2 also. 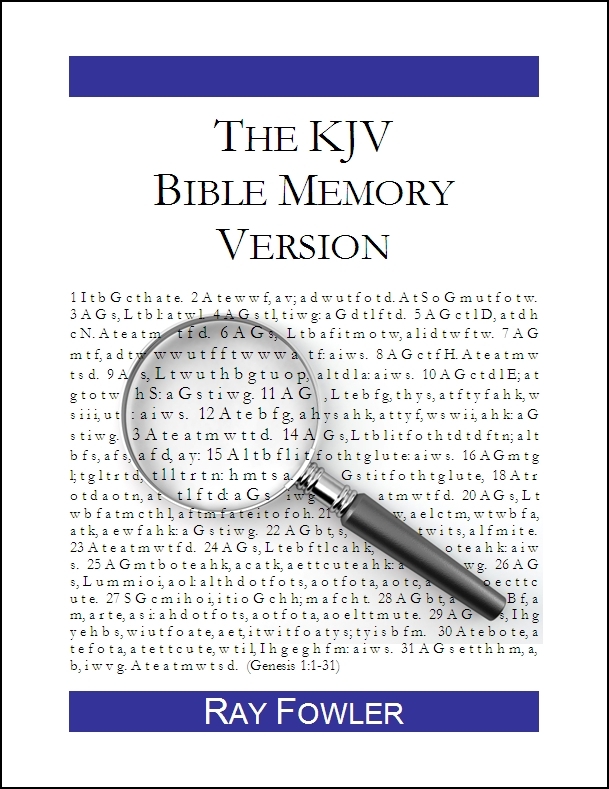 “There was also a prophetess, Anna…. She was very old; she had lived with her husband seven years after her marriage, and then was a widow until she was eighty-four. She never left the temple but worshiped night and day, fasting and praying. Coming up to them at that very moment, she gave thanks to God and spoke about the child to all who were looking forward to the redemption of Jerusalem.” (Luke 2:36-38) Anna lost her husband probably when she was still young, and she lived many years as a widow, but she put all her hope in God, and her hope was not disappointed. She also saw Christ in the temple. When you put your hope in Christ, you will not be disappointed. As Romans 10:11 says: “Anyone who trusts in him will never be put to shame.” (Romans 10:11) If you put your trust in other things, they will disappoint you – whether you put your trust in people, or in possessions, or in future plans you have made – other things will disappoint you, but not Christ. Jesus will never disappoint you. Hope in Christ does not disappoint. CONCLUSION: The Christmas season is a wonderful season for so many reasons, but one of the most important reasons is the hope that Christ brings to a lost world. “Here is a trustworthy saying that deserves full acceptance: Christ Jesus came into the world to save sinners.” (1 Timothy 3:15) That means he came to save you and to save me. Jesus was born into this world at Christmas so that he could grow to be a man and die on the cross for your sins and mine. So if you are discouraged this morning – if you are tired of waiting, if you feel like giving up, if you’ve faced too many disappointments in life, then let me point you to Christ and the hope that is found in him alone. Hope in Christ gets you through the waiting. Hope in Christ helps you go the distance. Hope in Christ does not disappoint. Put your hope in Christ today and every day.